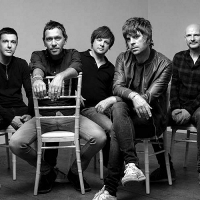 Britpop/alternative rock band from York, formed in the 90s and comprised of Rick Witter, Paul Banks, Thomas Gladwin, Alan Leach and Joe Johnson. The band's many hits include "Chasing Rainbows", "Going For Gold", "Dolphin", "Ocean Pie", "Getting Better" and "She Left Me On Friday". They released their debut album, "Change Giver" in 1994, followed by: "A Maximum High" (1996), "Let It Ride" (1998), "Truth Be Told" (2001), plus 2017's: "Instant Pleasures".